The Black Law Student Alumni Endowed Scholarship has been established by the Black Law Student Association Alumni Association to provide support to second- or third-year Hofstra Law students who exhibit a commitment to public service and the Hofstra Law School Chapter of the Black Law Student Association; a financial need for resources with which to finance their legal education; and academic promise toward completing a Juris Doctor degree at Hofstra University. The mission of BLSA is to utilize the collective resources of chapter members to promote the educational, professional, political and social needs and goals of black law students; foster and encourage professional competence; and influence the legal community by bringing about meaningful legal and political change that addresses the black community. 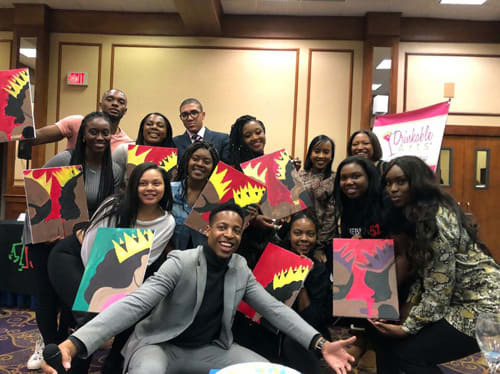 BLSA serves to help ease the transition of first-year law students into the law school process. BLSA is open to any Hofstra Law student regardless of race or color.